My father, James; my mother, Lisa; my sisters Alice and Sherry and me, I was named Shawnta. My name became a barrier that prevented me from feeling accepted at school. One day in middle school, my seventh grade social studies teacher asked me to stay after class. I was a shy student and this made me nervous. "Shawnta, I wanted to let you know that your parents spelled your name incorrectly. You need another letter after the 'a' to make it have the long a sound. I am going to fix your name on my roster to make it easier for me to remember." I nodded, took the late pass, and quickly hurried to my next class. I was used to my name being pronounced incorrectly, but I had never been told my parents misspelled my name. Why couldn't she accept the way my parents spelled my name? From that point on, any work I turned in would be returned with a mark made above the second 'a' in my name. My name would appear, "Shawntá," and not "Shawnta." Every time my teacher forced her view of how she believed my name should be spelled, she severed any opportunity I had to feel welcomed in her class. Every slash above that 'a' was a slash to my value, to my worth. My experience has influenced my work as an educator; I know that making students feel welcomed begins with learning their name. On the first day of school, during my second year in the classroom, I saw the name Mone'y on my roster. I did not have a clue how to pronounce it, so I spelled it aloud. A girl at the back of the class raised her hand and said, "I know my name is ghetto." I was bothered by her negative view of her name. I replied, "How do you pronounce your name?" She said, "Mo-nay." At that moment, I could have moved on the next name on my roster, but I did not. I told her, "Your name is beautiful," and her face lit up with a smile. My personal experience also made me an advocate for students to my colleagues. An English language learner I worked with always had her name shortened by other teachers. When I began working with her, instead of calling her, "Nora," I called her, "Norita." A couple weeks later, she ran up to me in the hallway, wrapped her arms around my waist and said, "Thank you for calling me Norita. That's my real name." Later that day, another teacher asked why Norita hugged me. "She is so reserved. I've never seen her hug anyone." "She was happy that I call her Norita. She doesn't like it when people shorten her name. We should not impose another name on her." Learning a child's name should not be a burden to a teacher. When teachers told me my name was wrong, or changed the spelling, or smirked about it, it made me believe something was wrong with me and I needed to change - that I was not acceptable as part of the school community. It is not my place to question or comment about a student's name because it does not fit into my box of acceptable names. My role is to help all children find their place in society and discover who they want to become. This starts with knowing their name. 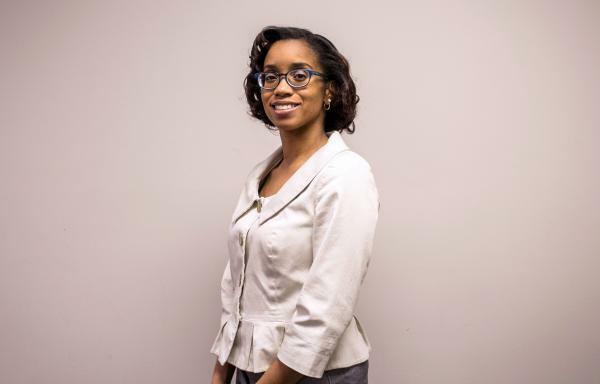 Shawnta S. Barnes is a literacy coach at Wendell Phillips Elementary in Indianapolis Public Schools and an adjunct instructor at Indiana University Purdue University Indianapolis School of Education. She is a 2016 Teach Plus Teaching Policy Fellow.